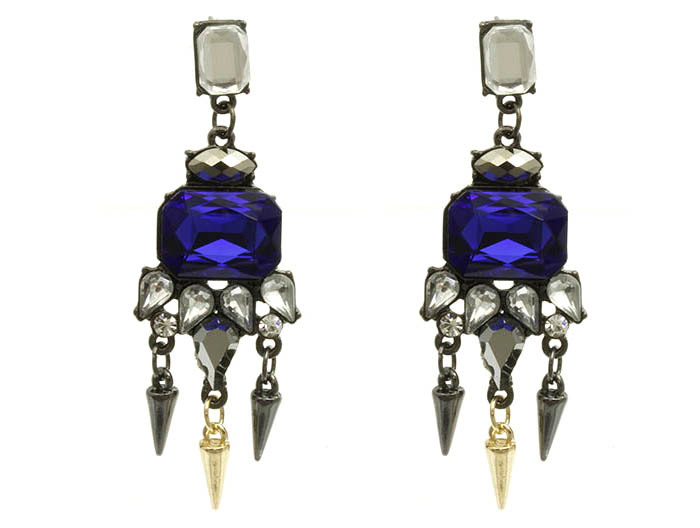 The Hannah crystal drop earrings are the embodiment of punk-luxe. A monochromatic gunmetal-hued palette is complemented by the addition of a deep-topaz focal stone and accented by mixed-metal spike pendants. Wear with bed hair and a black leather slip.